Are you ready for some football?! 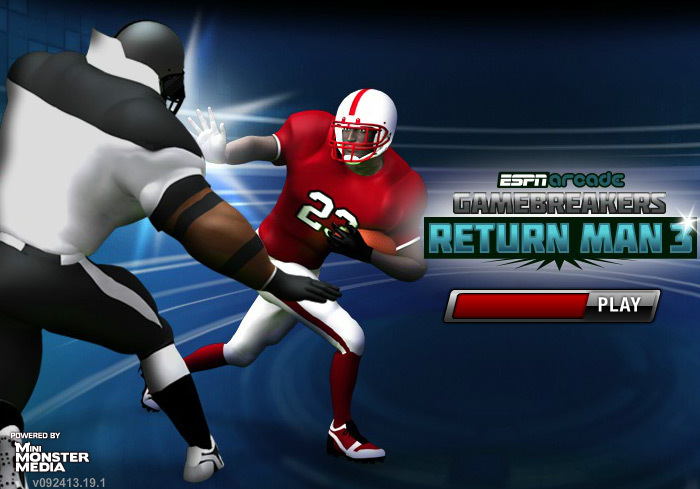 Grab your helmet, put on your gear and prepare yourself for the most amazing football flash game ever to hit the internet – Return Man 3! 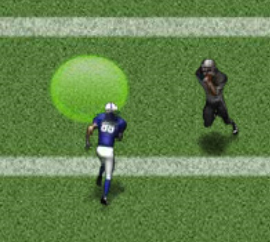 The object of the game is simple: guide your football hero into the yellow circle in time to catch the football. 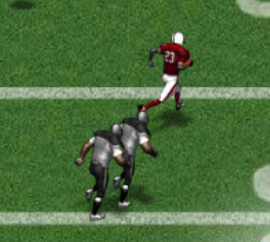 Run it down the field, dodging the opposing team’s defenders, mud holes, and ice patches to make it into the end zone and score the winning touchdown. 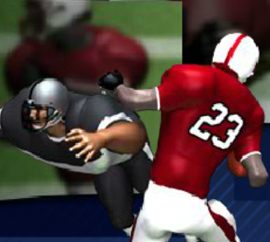 If you fumble the ball along the way, make sure you pick it up before the defenders have a chance to recover it! 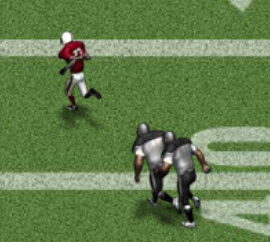 If you don’t make it into the end zone with the ball, you will lose a possession. Lose too many possessions and that’s the end of the game! 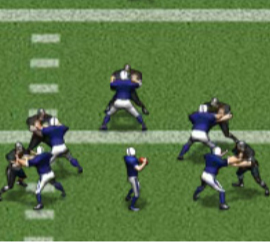 The player controls in this game are slightly different than previous versions. In Return Man 3, you have a variety of options available to make playing the game easier and more enjoyable. In addition to the normal I, J, K, and L directional keys and A, S, and D keys to activate the special moves from previous versions, you now have two alternative options. 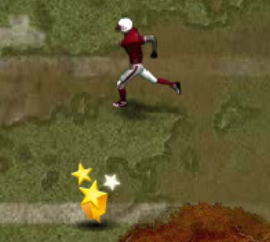 Use the W, A, S, D buttons to move your football hero forward, backwards, left and right. Use the J, K, and L buttons to activate the special moves. 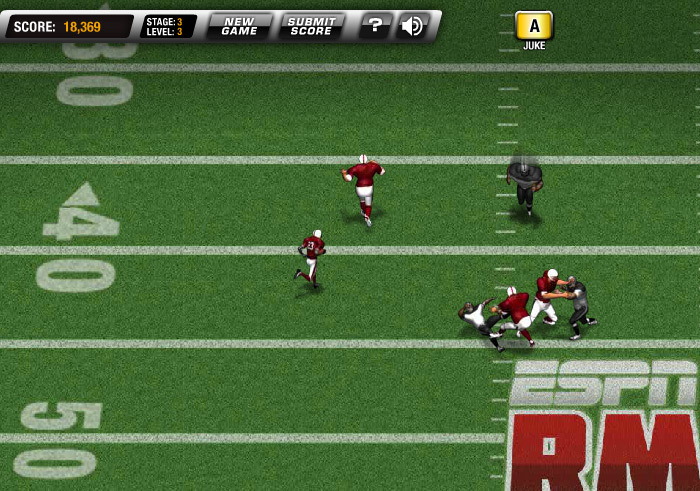 Use the up, down, left, and right arrow buttons to move your football hero forward, backwards, left, and right. Similar to previous versions, in Return Man 3 there are many things you can unlock simply by completing various stages and levels of the game. This version features more special moves that you can unlock, as well as up to three different blockers that you can use on your team! As you complete each stage and level of the game, you are racking up score points. Score high enough to get your name on the Leaderboard! Your score is based on three major factors: your return score, a pick-up bonus (which is calculated based on the number of buffs you pick up throughout the field), and a Touchdown bonus. In addition to earning points, you must also be careful about spending points. For each special move you use, you spend a certain amount of score points. For instance, the Juke special move will cost 300 score points to use, while the Strong Arm special move will cost 650 score points. So be careful about how often you use your special moves, as well as which ones you use! 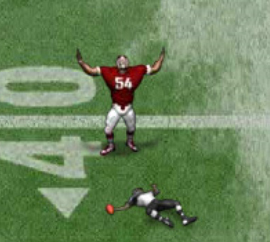 This flash game features 15 action packed stages to complete. Similar to previous versions, each stage unlocks the next, includes multiple levels to complete, and unlocks the special moves and other unlockables at various stage levels. For instance, completing all three levels in Stage 1 will unlock Stage 2. However, completing the first two levels in stage 2 will unlock the Juke special move, but if you can complete the third level of this stage, you will also unlock Stage 3. If you’ve never played any of the Return Man series of games, you may be feeling a little lost about how to successfully complete this game. Try some of these tips to help you along the way. Avoid the defenders as much as possible. 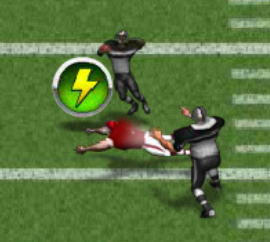 Not only can the tackle you – which will result in a possession loss – but they can also cause you to fumble the ball, which may or may not result in them recovering it! 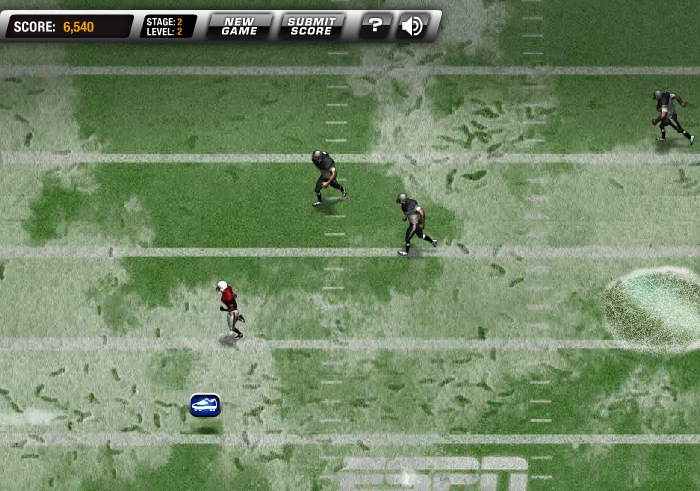 Avoid thick icy patches on the field during the snowy levels. 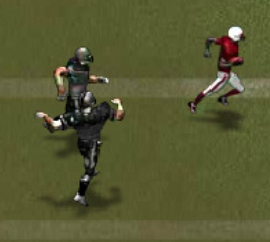 If you can’t avoid them, try to grab the power-up that looks like a shoe on the field. 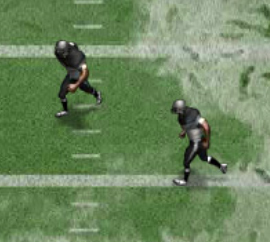 This will prevent you from sliding around the field as if you’re an ice skater instead of a football player! Use the speed up booster found on the field whenever possible. This will give you a brief speed boost so that you can run past most of the defenders. Grabbing the power-ups found on the field will give you additional score points – maybe even enough to counteract the deductions of using the special moves!